Enter several of the families who think of Mike as one of their own. The concept of peaceful protest is not new, and the children of those families didn’t think it was right that Mike didn’t get his shot to show. So, they approached the State Fair office and politely informed them that if Mike didn’t get to walk his animal through the ring, they would pack up their animals and go home, before they even had the opportunity to show. There would be enough animals between the families leaving the fair that it resonated with the fair office. Mike was allowed to walk through the ring before the State Fair shows officially started. There were no officiates, no announcements, and the ribbon Mike was presented by a family friend was dug out of a family tack box. This resonated with Mrs. Carol Turner, a secretary in the State Fair Livestock Office at the time. What the youth and Mike didn’t know is they had found an ally. It wasn’t good enough for Mike to just walk through the ring with no recognition – in her mind, if he was to travel to and work at the State Fair, he deserved to participate. 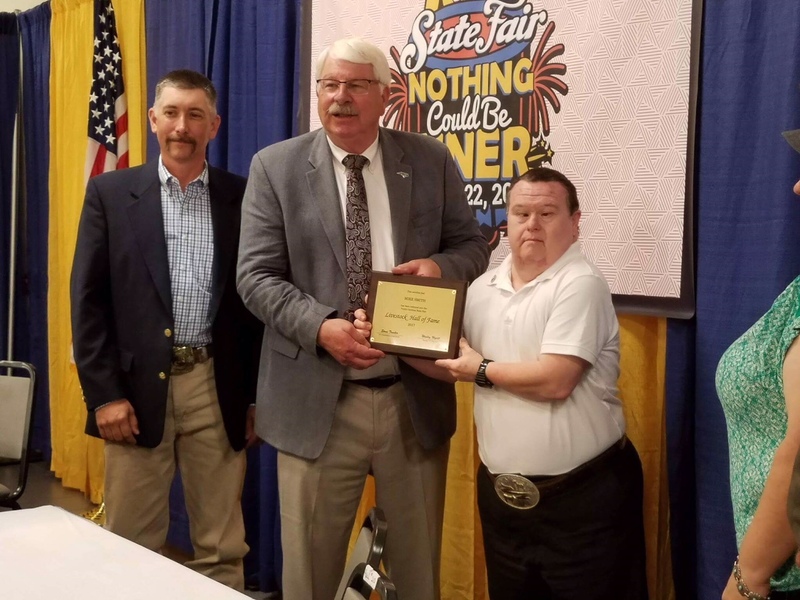 The following year, in 1997, the NC State Fair Special Award Livestock Show was born, with Mike as the single participant. Only this year, Mike was presented a ribbon by the NC State Fair, along with prize money. The next year, Mike brought a friend, who also had Down Syndrome. Five years later, in 2002, the show had grown to 20 participants coming from across the state. Now, it’s grown to host close to 100 participants and has expanded to both weekends of the NC State Fair under Carol Turner’s watchful eye. The exhibitors who participate in what is affectionately known as the Special Show must have a mental or physical disability. 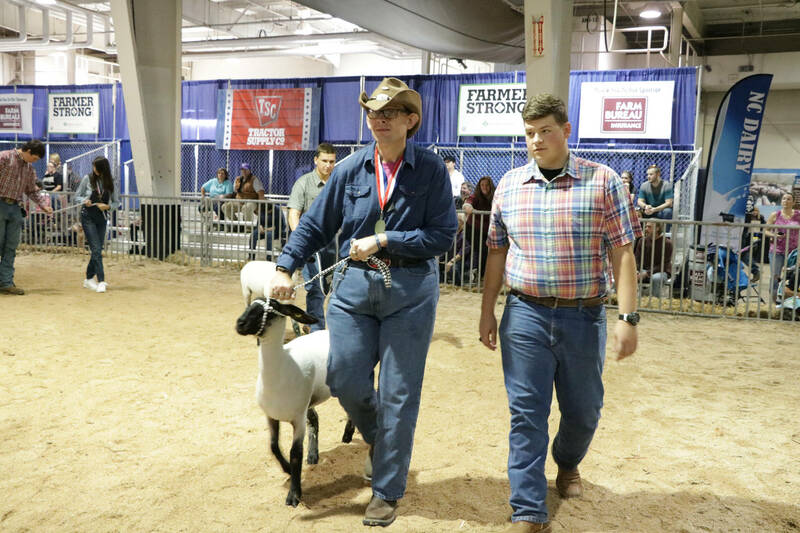 The Special Show exhibitor is paired with a youth exhibitor who owns a cow or sheep who acts as a helper during the show, with the Special Show exhibitor being allowed to control the animal as much or as little as they want. They can select to show a cow, sheep, or both. 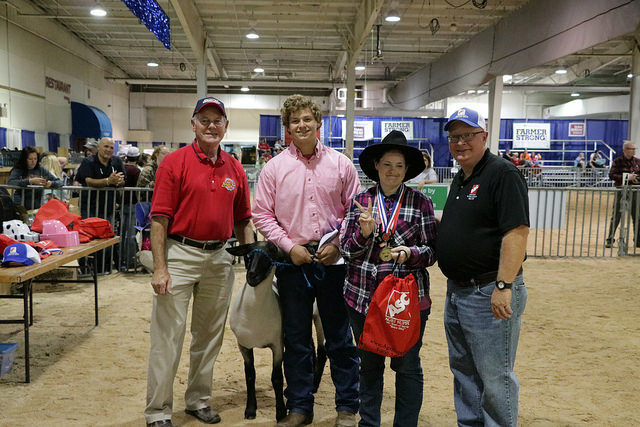 Each time they enter the ring, participants receive a medallion, ribbon, State Fair t-shirt, prize money, and tickets to the midway – sponsored by the NC State Fair and AgriSupply. And the State Fair livestock competitions stop for the Special Show, as it’s judged by the officials who judge the competitive events. Mike is right in the mix of it all. Mike has been presented a belt buckle for his role in starting the event, he’s been allowed to help judge, and most of all, he exits the ring with his ribbon and medallion held high. For the participants of the Special Show, Mike was the catalyst that created an opportunity to touch and interact with animals that most never had. Mike is the reason that youth who bring animals to the fair look forward to volunteering their time and animals to assist others participate in livestock events, when they could otherwise be napping after long, hard days at the fair. 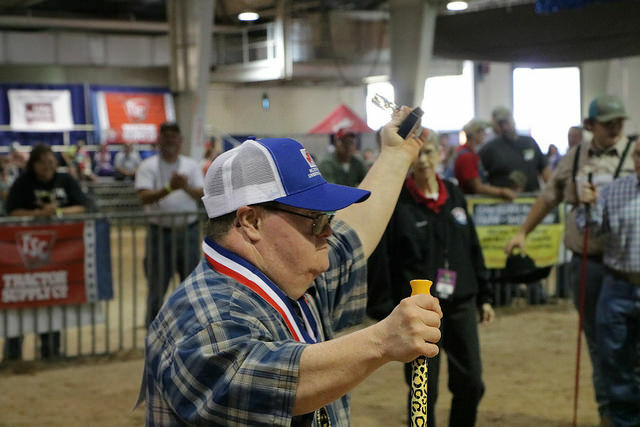 Mike is the reason that for an hour and a half, all eyes in the livestock barn stop seeing Down syndrome, spina bifida, cerebral palsy, Asperger’s, and autism, and instead focus on the pure joy of youth and adults interacting with animals. 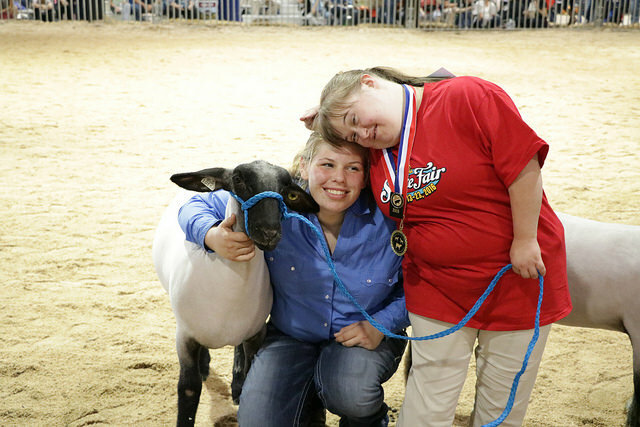 To hear the applause of the crowd and the laughter of the exhibitors, to see the faces light up with smiles and excitement, to witness the moments where animals and people are brought together are heartwarming and humbling. And they’re all made possible because Mike wasn’t satisfied to sit on the sidelines and watch. 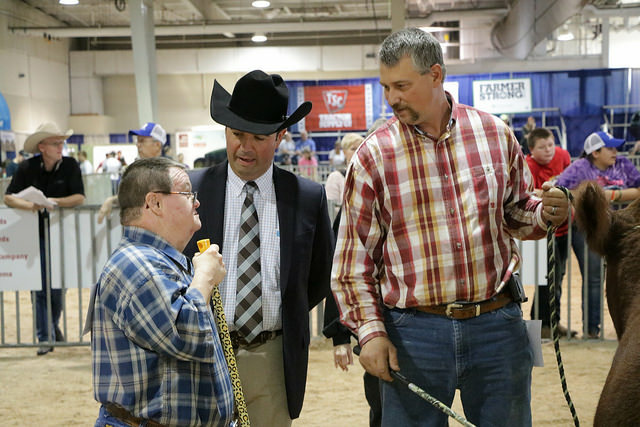 Mike’s sweet spirit and passion for livestock are embodied in the NC State Fair Special Awards Livestock Show.